Artist Vin Grabill received a B.A. degree in Studio Art from Oberlin College in 1971 and a Master of Science in Visual Studies degree from the M.I.T. Center for Advanced Visual Studies in 1981. After teaching Video Art at the Massachusetts College of Art from 1984 to1988, Grabill joined the faculty of the UMBC Department of Visual Arts in 1988. He teaches video art and currently serves as department chair. He has exhibited his works widely nationally and internationally. 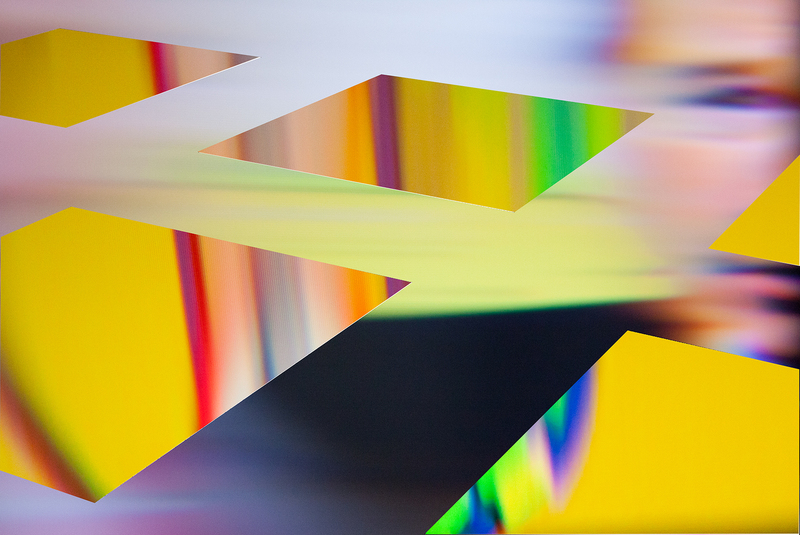 Coming up locally this winter, Grabill and two other UMBC Department of Visual Arts faculty, Steve Silberg and Neal McDonald, will be exhibiting their artwork at the Howard County Arts Center in Ellicott City from January 10 to February 21, 2014. New and improved devices allow media images to intrude into our lives at all times, redefining our landscape as a result. Various artifacts of media imagery make up the way we view the world, often replacing nature. Swirling bits of data clog and complicate our perceptions—ads shout urgent pleas, jogging and redefining our understanding of the real and virtual spaces in which we live. Over the past few years, I’ve been working in both digital still and video media to reflect these concerns. The series of images presented here is closely related to a video I made in 2010, “Frontier,” that can be seen here: https://vimeo.com/17480413. My intent for “Frontier” was to create a visually-rich abstract environment by blending together a wide assortment of video imagery, ranging from natural phenomena (water, sky, etc. 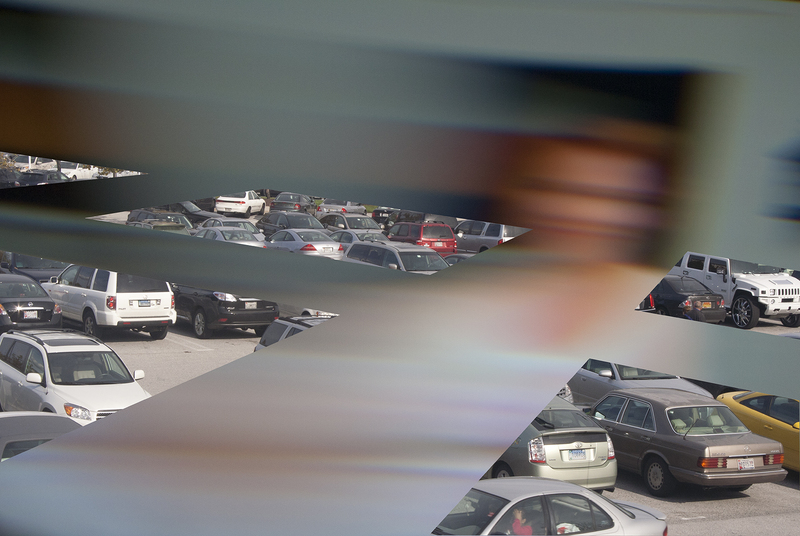 ), to rapidly-scanned street scenes, to manipulated faces shot off a television screen. Central to the visual field is a slowly moving window frame structure that allows these various visual sequences to be seen together, viewed both inside and outside the animated “window” openings, allowing for an ongoing figure/ground play of contrasting imagery. While these image pairings play out, additional visual elements eventually course across the picture plane like storms, sometimes obscuring the window frame structure beneath. 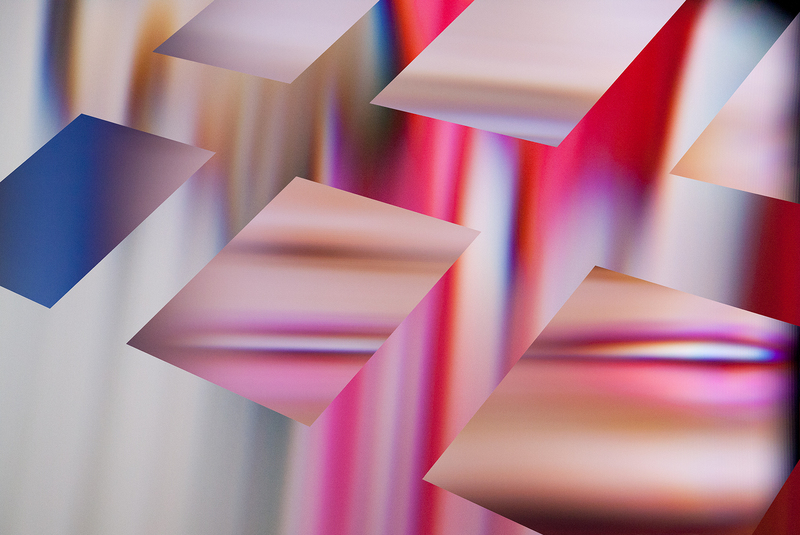 The image titled “Frontier” is a video still from that 6-minute video, and the other five are from a series of digital prints that play off the way I organized spatial layers in the video. The five digital prints each juxtapose images sourced from television media and other scenes via the same kind of figure/ground grid structure I used for “Frontier”. 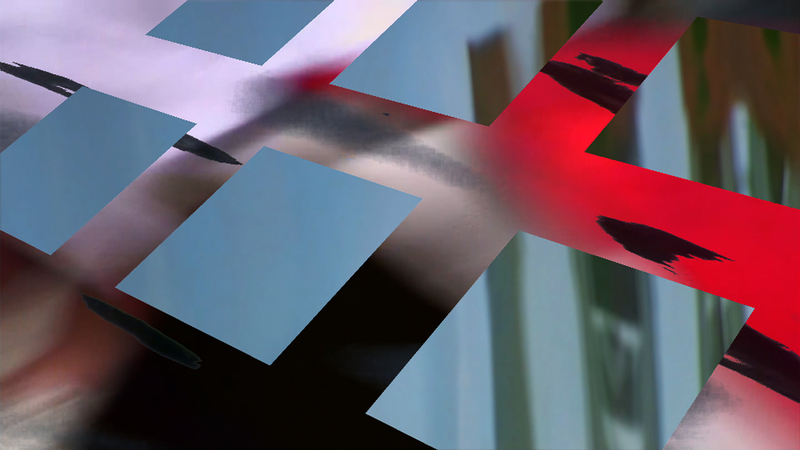 For “Talking Heads I”, “TV Nation”, and “Sky Buy”, I shot live television footage through a large lens placed in front of a TV screen and then used digital mixing techniques to combine disparate swatches of the abstracted media imagery. 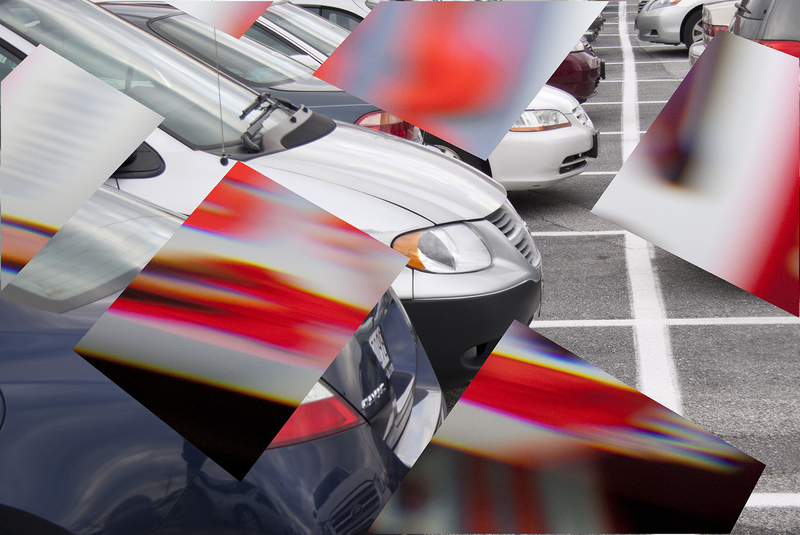 “Verge” and “Vigilance” juxtapose the lens-manipulated TV footage against the backdrops of shopping mall parking lots. While the TV media images have been stretched, the parking lot shots have not been manipulated in any way. This entry was posted in Arts, Features and tagged art, Vin Grabill. Bookmark the permalink.